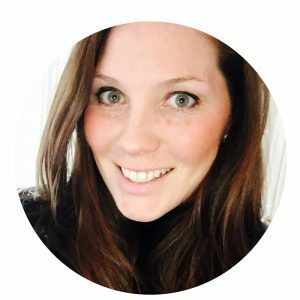 If you aren’t familiar with process art, the focus is on the process rather than the end result. Art allows for such an expression of self, for learning and for fine-motor skills. All of which, can be stifled when there is a focus on the end result. 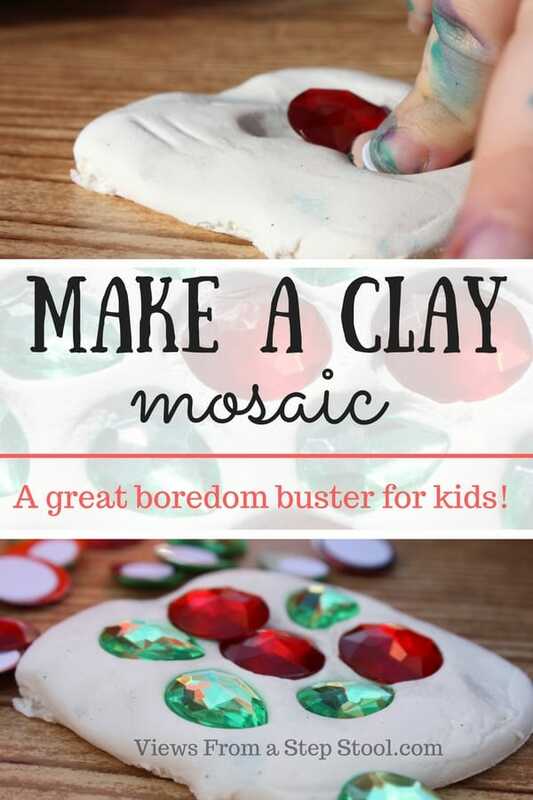 Don’t get me wrong, I love a kid-made craft as a gift that I can proudly display on my wall; but, I also see the value in not concerning myself with that my children create, rather focusing on the process with which they create it. 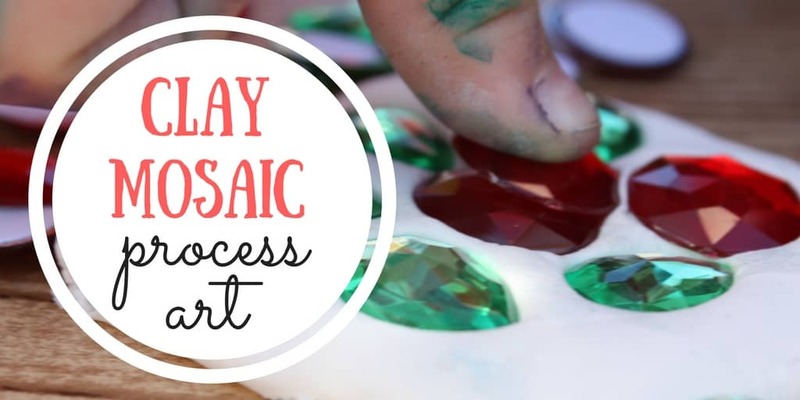 This clay mosaic process art activity was so much fun to observe as my kids immersed themselves in their art. 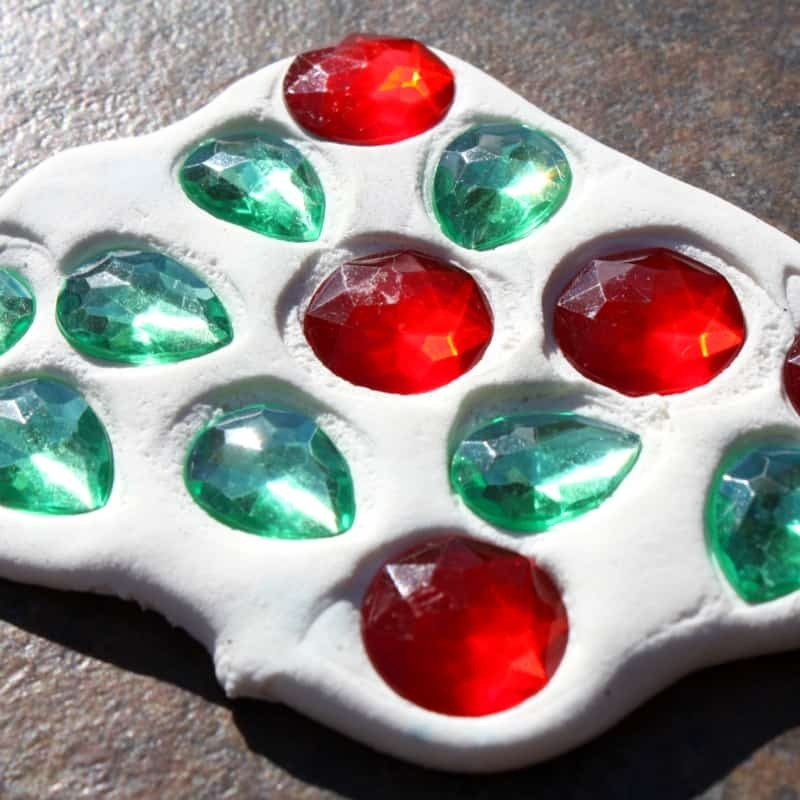 On a tray, set out some clay and some gems. 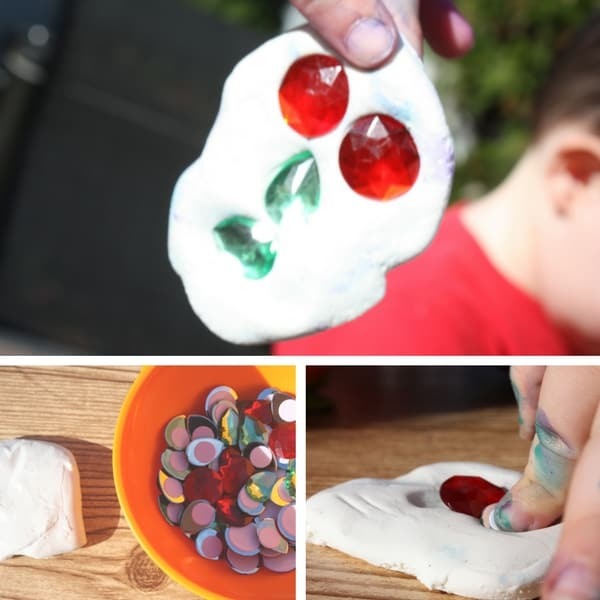 Allow your child to create whatever they would like with the materials. 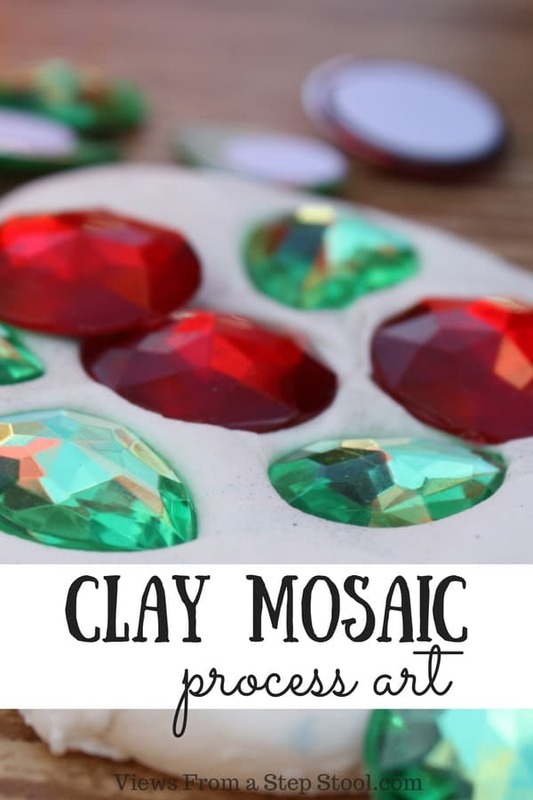 The gems will not stick, and because the clay takes a long time to dry, they can re-create the process as many times as they would like. 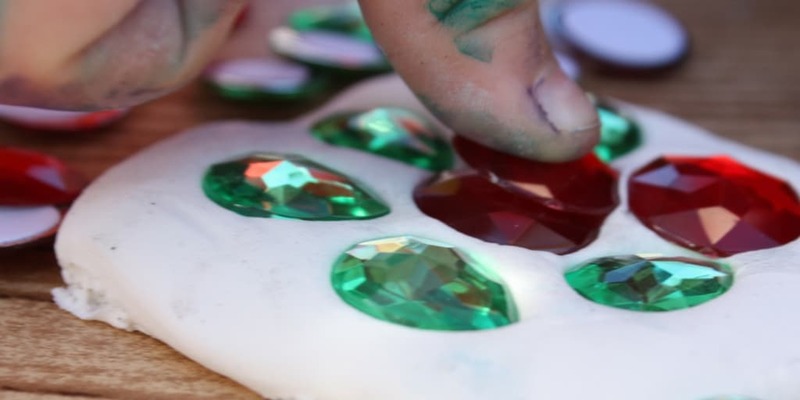 If they find a design they love, let dry, and glue the gems in place. My 3 year old was at this for a good 45 minutes. She made SO many different designs and explained each one with such detail. I could see her little mind just working tirelessly and the self-expression was beautiful.